Vassilis Spanoulis reached yet another milestone in his career, claiming one more top, this time in the Greek league. Entering the game vs. AEK, Spanoulis only lacked four assists to top Dimitris Diamantidis and become the all-time leader in the Greek League. It wasn’t long before he reached the important milestone of 2,145 assists, with a memorable pass to Giorgos Bogris towards the end of the game. 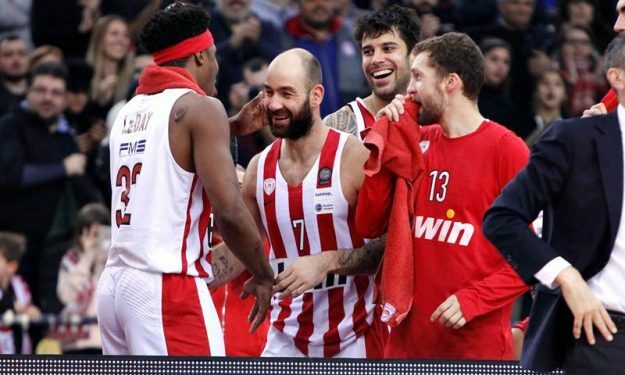 Reflecting on the record, Spanoulis remembered the Istanbul Final Four in 2012: “To be honest, the most important assist I’ve ever handed out was the one to Giorgos Printezis. I don’t remember any other. That one was the best”, he commented after the game.